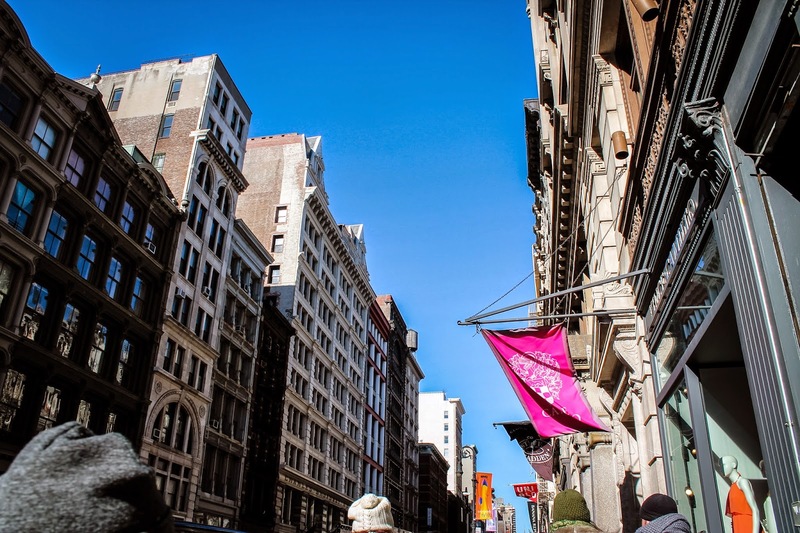 We started off our second day in NYC with some shopping in the Garment District, located in SoHo...it was an absolutely gorgeous day as the weather had cleared up to be sunny + breezy. It was perfect walking weather and we took advantage of it to see allllll the shops. 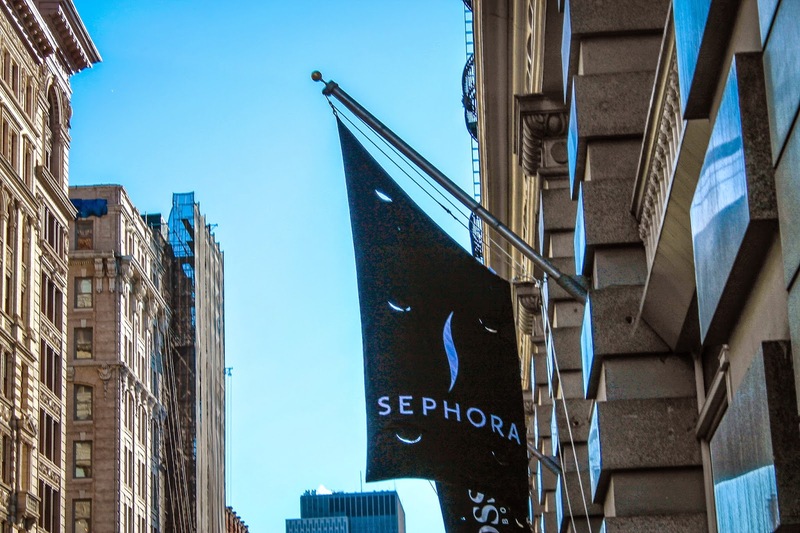 I highly recommend the Garment District for sight-seeing. 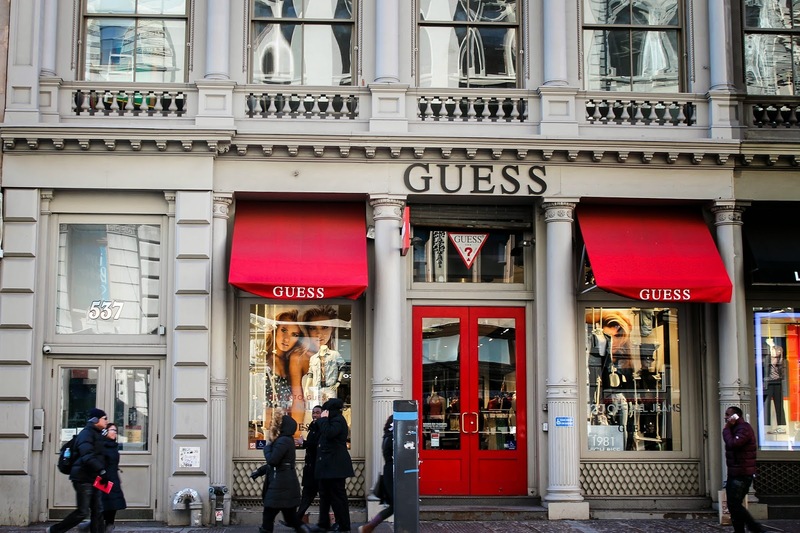 We strolled and just enjoyed looking at all the beautiful architecture + huge name brands: Guess, Hugo Boss, Banana Republic, Converse, Steve Madden, Brandy Melville, Tommy Hilfiger, Prada, Marc Jacobs and more. My fashion-loving heart was in bliss. 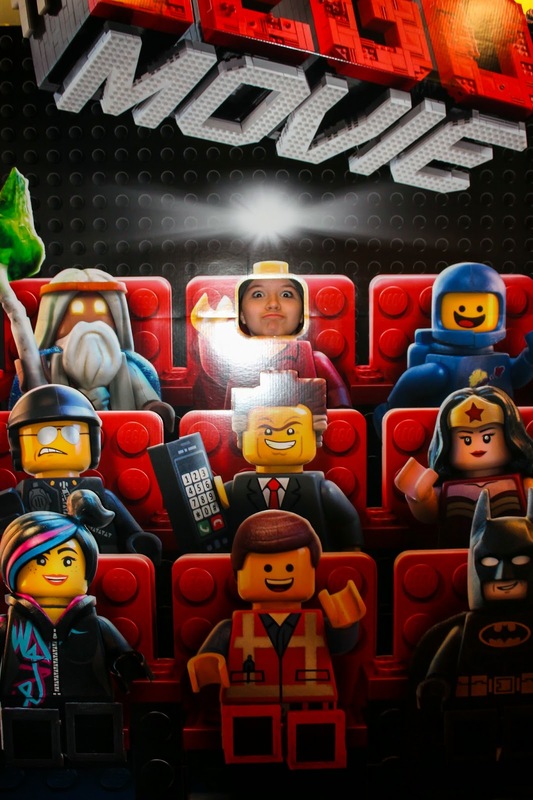 My younger sister, who shares my knowledge of and excitement for those brands, was equally on cloud nine. 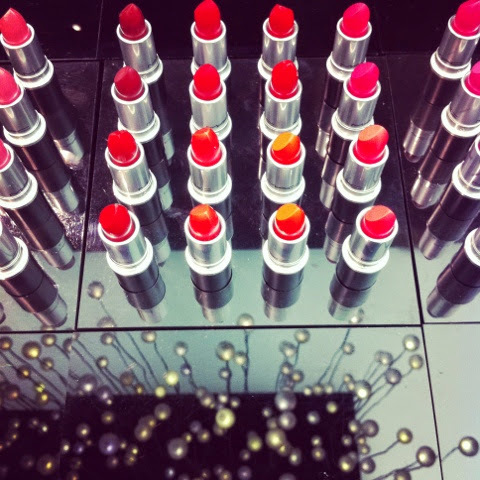 If you've been reading for a while, then you know I am a sucker for red lipstick. I'm a fan of any color, but red seems to be a favorite. cough. And I'd actually realized a month ago that I'd somehow lost my beloved Rimmel red lipstick (!!) so I was in need of a new tube of red anyways. The girls at MAC were extremely helpful; although, the poor salesgirl who assisted me almost had a heart attack when I mentioned I never use lip liner when wearing lipstick. After assuring her I did know that it was an absolute must when wearing red lipstick, she recovered. I ended up choosing the classic MAC Red in Satin as well as the liner. I've worn it on Sundays since getting home, and it's absolutely lovely. 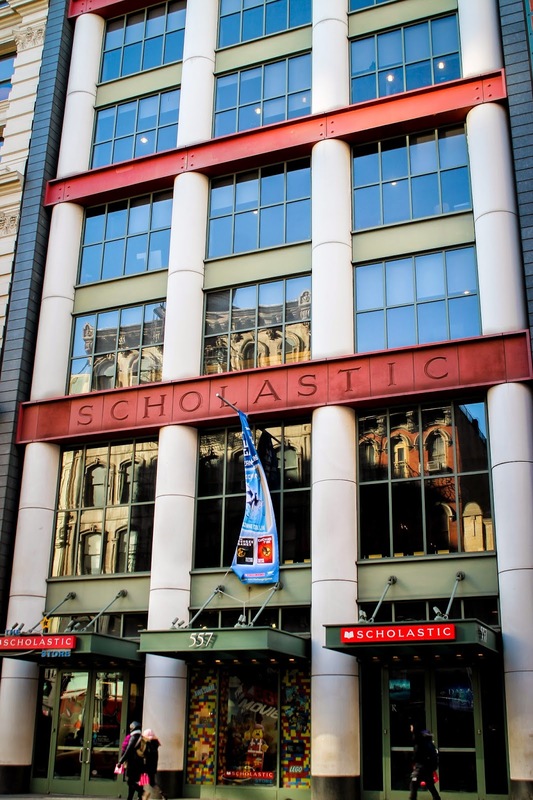 Next up was the enormous Scholastic store! As an avid bookworm and writer, I couldn't not go in...one of my dreams would to have a children's/YA book published by them. Who knows? Crazier things have happened. 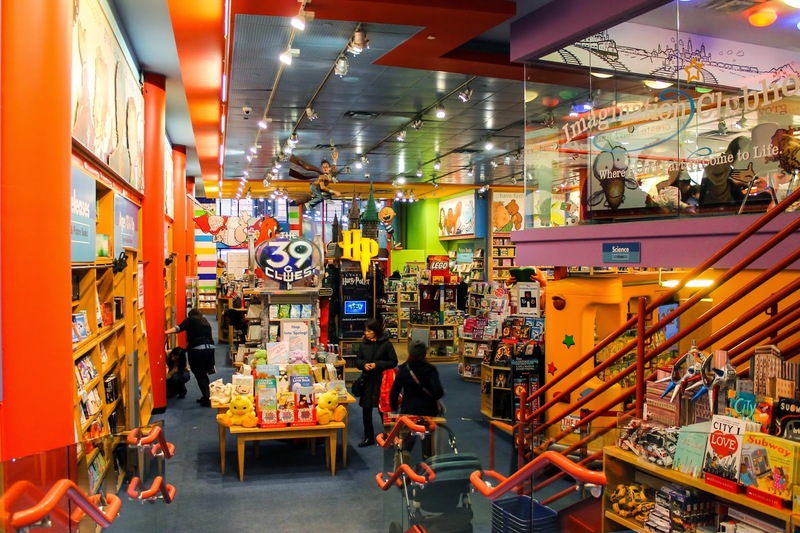 The inside was a kid's dream...if only every bookstore was like this, right? 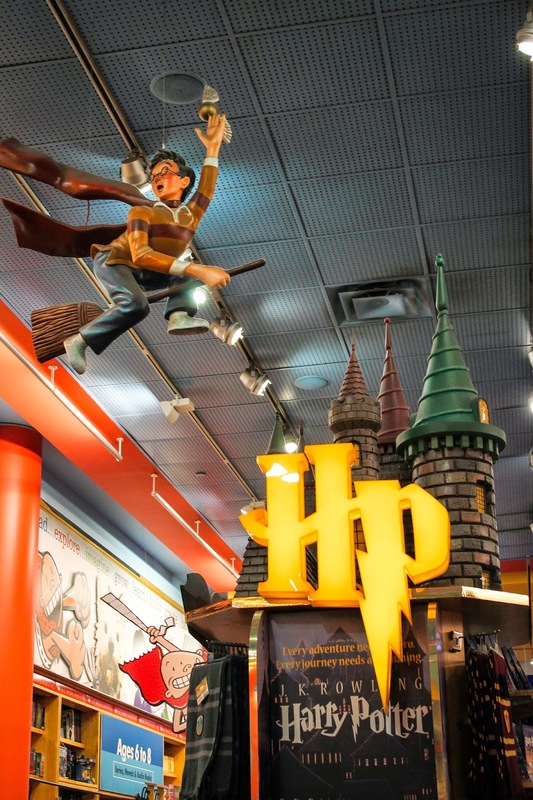 Including the floating Harry Potter complete with its own mini section of books + paraphernalia. Representing Hogwarts Houses with appropriate facial expressions for each respective House. 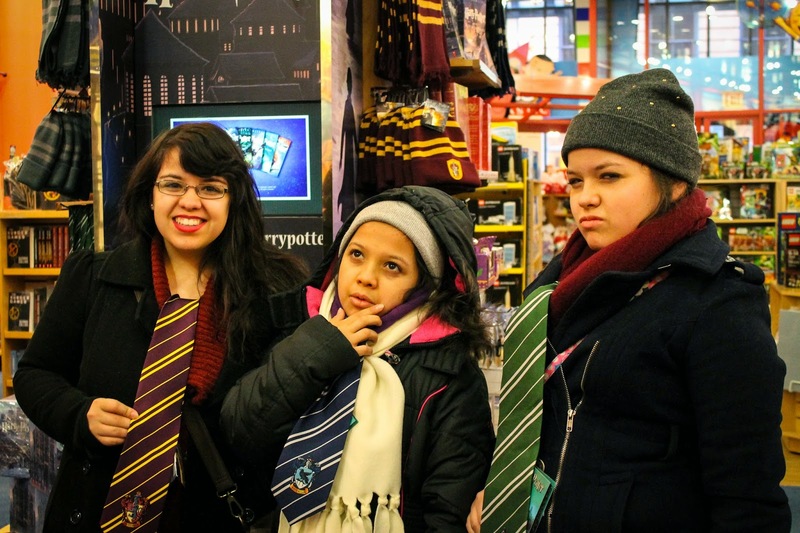 Left to right: Gryffindor, Ravenclaw, Slytherin. 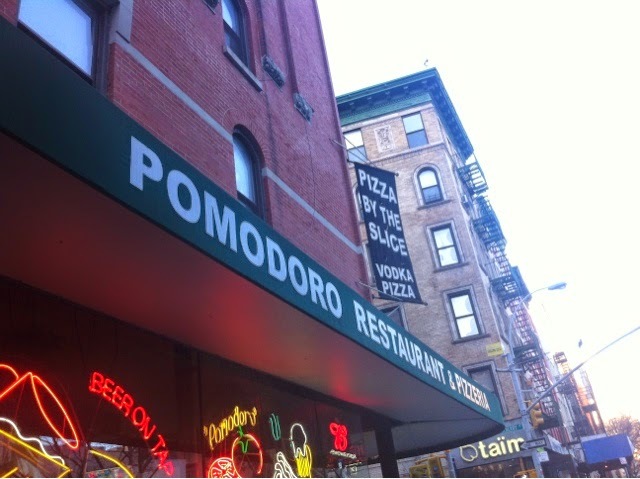 We headed to Little Italy for lunch and stopped at Pomodoro Ristorante Pizza, a little mom + pop place on the corner of Spring St. By then, we were starving, so no food pictures...but it was uh. maz. ing. Garlic cheese bread, fresh - and I mean fresh - mozzarella sticks, spaghetti and meatballs, and an out of this world chicken parmigiana. I'm getting hungry just typing this. Mmm. If you are in the Garment District, I highly recommend walking a couple blocks over to Little Italy as they're right next to each other. 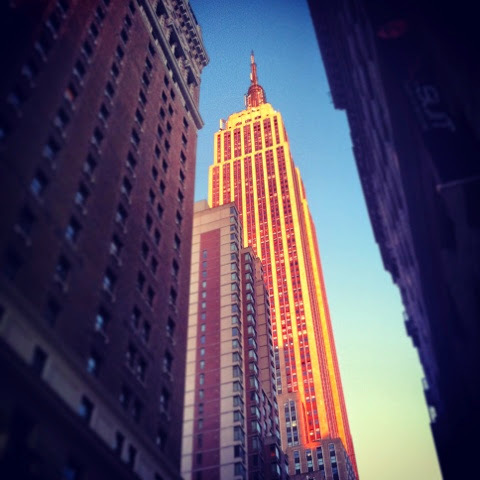 We did some more walking, just soaking in the city...and found the building that puts everyone in an Empire state of mind. 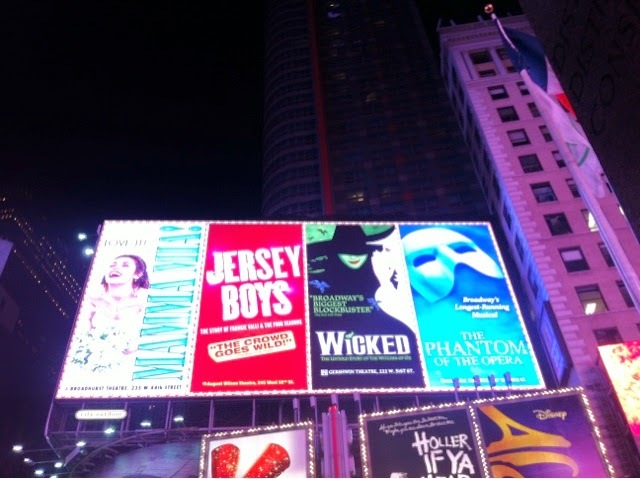 Then we found ourselves in Times Square! 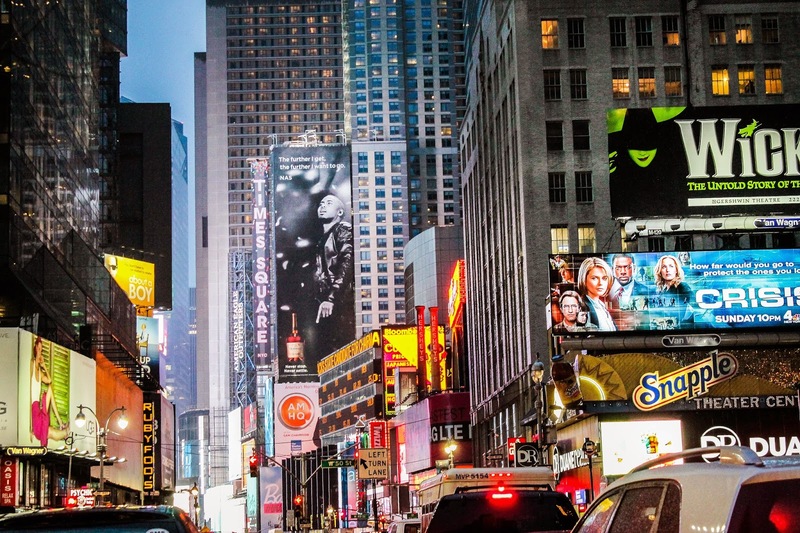 I know I said this in the last NY post, but I love, love Times Square at night. The energy + excitement is something special - it feels like the entire city is awake and buzzing around Broadway. We finished off the night with drinks at Cafe Bene in Times Square, which is one of my favorite New York spots. Not only do they have an assortment of bakery items, macarons, and chocolate-covered waffles, but they have a fabulous menu of fun drinks. 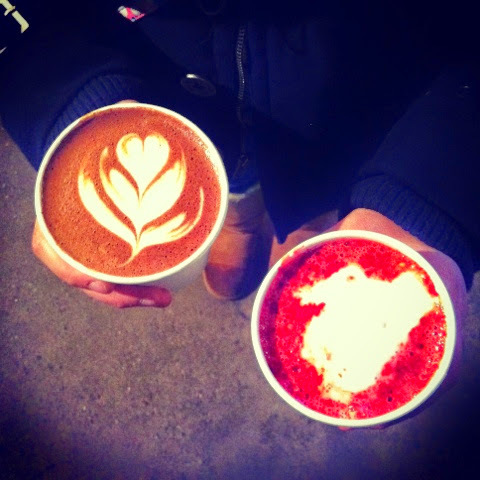 We settled on a Red Velvet latte + a Spicy Mayan hot chocolate. Heaven in cups. The red velvet was sweet, warm, and essentially liquid cake while the hot chocolate was rich + frothy with a deep, spicy chocolate taste. The perfect ending to the day. Psss, don't forget to enter the blog giveaway here - I'll randomly pick a winner tomorrow morning! Hope your Holy Week is going well, friends. Easter is almost here! What an amazing time... :) Thanks for sharing your adventure!